Often times we meet our clients’ in what is no doubt an emotionally vulnerable time. The devastating effects of fire damage, storm damage, and water damage aren’t simply limited to “repairs to the home”. We have been in countless situations where we are tasked with attempting to save irreplaceable items like wedding dresses, antique furniture, and other personal effects. 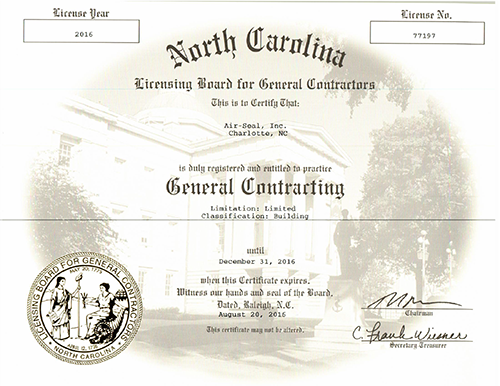 In an effort to take some of the guess work out of what is a very difficult decision on selecting a repair contractor we have included copies of our North Carolina General Contractor License as well as other certifications our company has achieved. 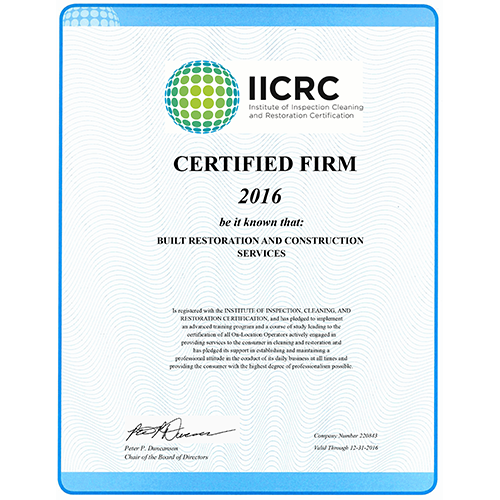 Built Restoration is a CHAMP Certified Firm with the David Corey Company. 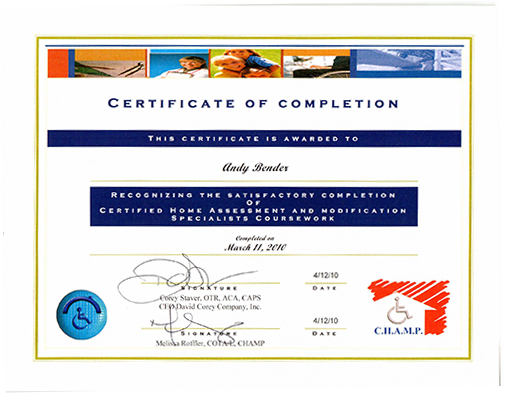 We handle both complex workers compensation insurance claims as well as “ageing in place” assignments that allow the individual the opportunity to continue living in their home with construction based modifications.